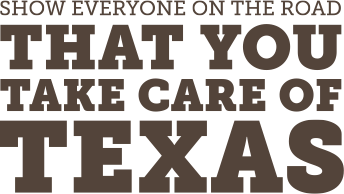 Take Care of Texas is honored to partner with Waste Management of Texas, Inc. in the annual Take Care of Texas Video Contest. Three high school students, grades 9-12, will be awarded scholarship funds, and three middle school students, grades 6-8, will receive GoPro cameras and accessories. All prizes are generously provided by Waste Management of Texas, Inc. Waste Management strives to leave future generations a planet that is in better shape than we were given. They are also North America’s largest residential recycler, managing almost 14 million tons of material that is recycled or reused each year. Waste Management’s commitment to the environment and to future generations of Texans makes them an excellent partner for the video contest. Learn more about how Waste Management Thinks Green.